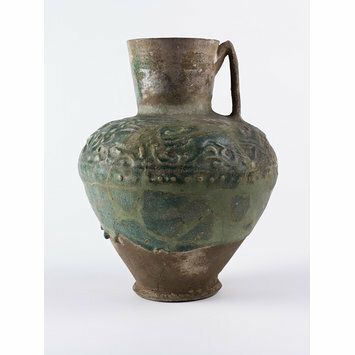 Vase of fritware moulded in relief and partly covered with a greenish-turquoise glaze. Pear-shaped body with a nearly cylindrical neck flaring upwards and a loop handle. Decorated on the shoulder with a band of running animals moulded in countersunk low relief. 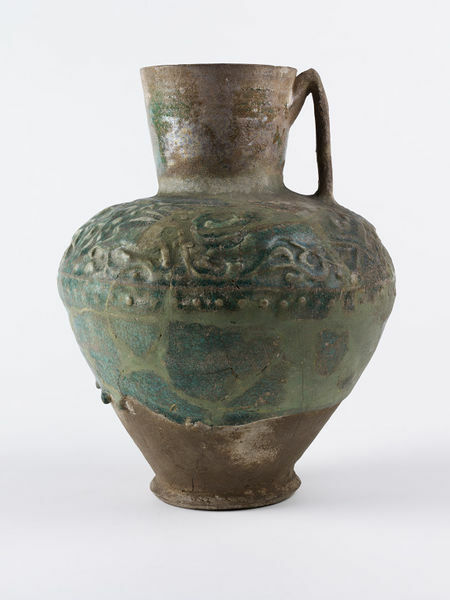 Vase of fritware moulded in relief and partly covered with a greenish-turquoise glaze, Iran, 12th century or 13th century.